Costa Rica, a country in Central America, is a true destination for nature lovers. Whether you’re an explorer or an explorer at heart, it’s the perfect place for destination weddings where adventure is a necessity. The country is known for its delicious food just as much for its dense rainforests, volcanoes, and protected wildlife. 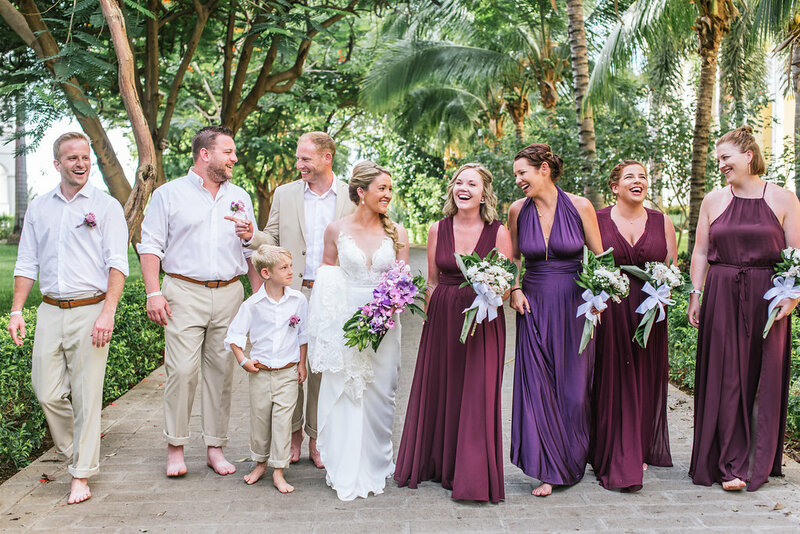 With an ideal location for active couples guaranteed, we present 5 of our 2019 favorite Costa Rica venues. Destify Couple John and Megan in Costa Rica. Located on a remote black volcanic sandy beach, Barcelo Tambor is a budget-friendly resort that will satisfy the entire wedding party. 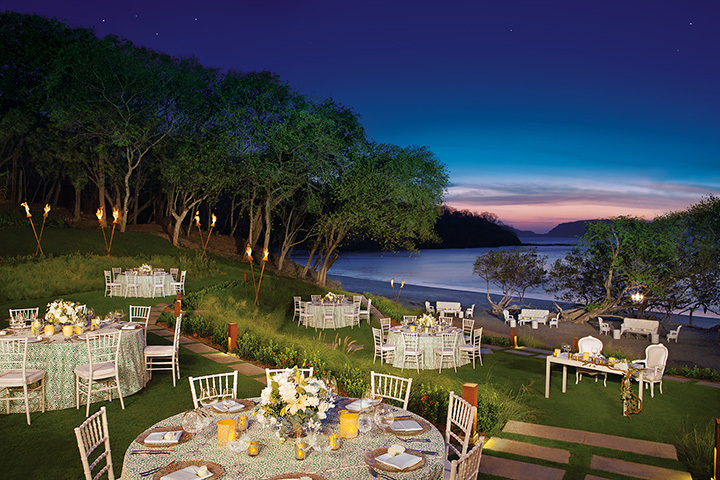 A wedding ceremony could feature the beachfront as its setting, and the entire resort is encased by lush rainforest. There’s plenty else to do around the resort too, like kayaking and mini golf, or a visit to the outdoor bird park featuring parrots and peacocks. 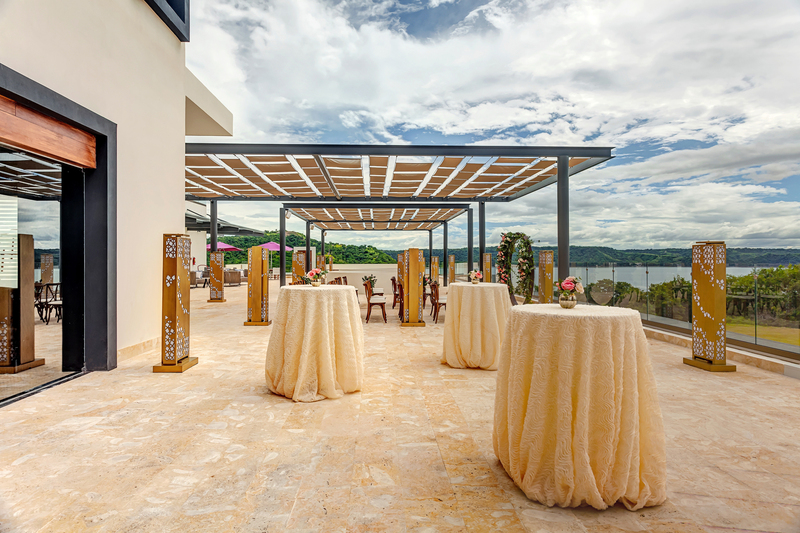 Adults will love this 18+ retreat, set amongst the beautifully serene Gulf of Papagayo. 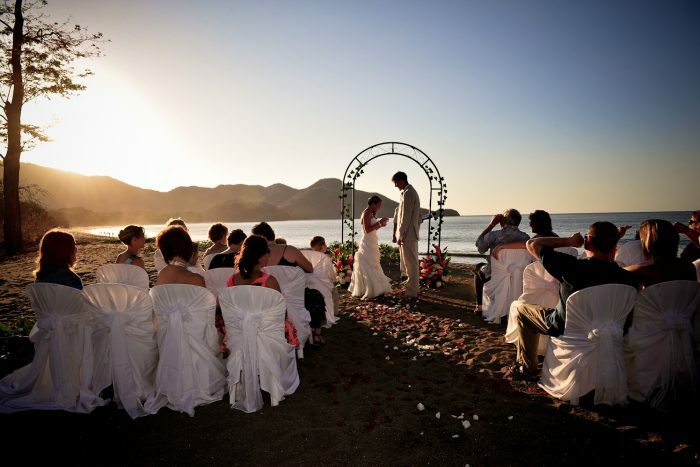 Secrets Papagayo guests will have access to two stunning sections of Arenilla Beach to explore, which also happen to be perfect for your wedding ceremony. But the rolling garden hills are the true showstopper, able to accommodate receptions. Photo-ops are aplenty with sailboats in the background, or the two rocky hills that enclose the area. The resort’s beach is private, and should you choose to leave the resort, the nearby Marina Papagayo features scenic walkways and world-class sports fishing. The RIU Guanacaste all-inclusive resort is set amongst its own complex, on a flat piece of land surrounded by gorgeous Costa Rican hills. This resort offers luxury at a most affordable price tag, with numerous wedding packages to fit any budget. The Pacific Coast makes for scene-stealing moments. There’s an on-site casino for entertainment, and during certain parts of the year, guests may catch sea turtle hatchlings as they head into the sea. Pamper yourself at Dreams Las Mareas as you lounge on the palm-studded El Jobo Beach, or host your destination wedding there! 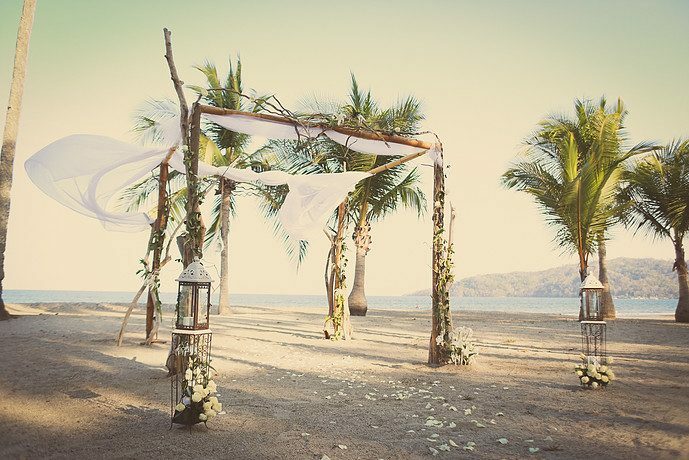 In fact, the private beach makes for the perfect shoes-free wedding ceremony venue. Explore the tropical jungles of Santa Rosa and Guanacaste National Parks nearby, or enjoy the expansive pool complex featuring a waterslide. You don’t have to leave the resort to catch sightings of monkeys in the trees, and once you’re worn out, stop to enjoy one of the many delicious a la carte restaurants without a need for reservations. The brand-new Planet Hollywood Costa Rica is ready and willing to meet your every need, with the red carpet rolled out for your celebrity treatment. Each suite is designed with comfort in mind, with handmade mattresses created specifically for the resort. The new dining concepts cover everything from SoCal gourmet to steakhouses and poolside burger bars, or stay in your room and enjoy 24-hour complimentary room service. But let’s discuss perhaps the best part, the sparkling wedding terrace, featuring panoramic views of the ocean and forest. Simply breathtaking!